You may have already read our huge general guide covering everything you need to learn how to jump higher. If not be sure to check it out. 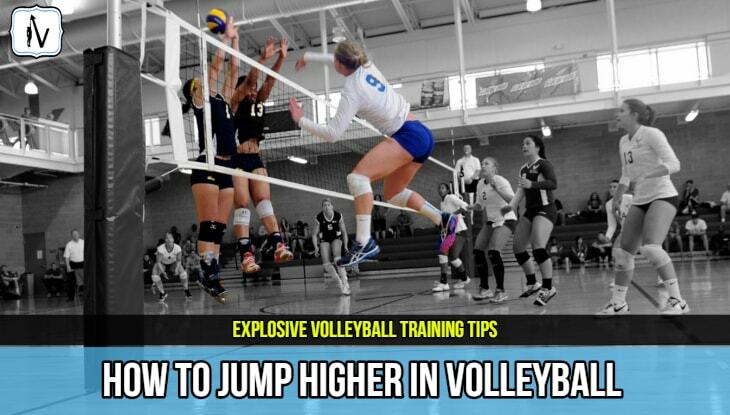 However, in this post I am going to help you learn how to jump higher for volleyball. 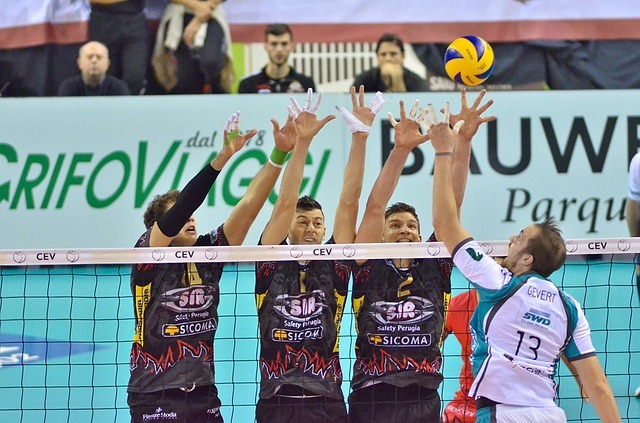 There is no doubt that volleyball players with an impressive vertical jump have a distinct advantage. 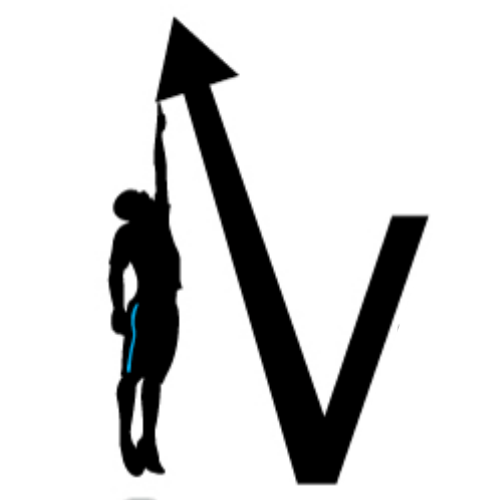 Whether you play indoor or beach volleyball you are about to see tips that will help you add inches to your vertical jump this season. Adding just a few inches to your vertical jump will make you a much more effective volleyball jump server, blocker and spiker. 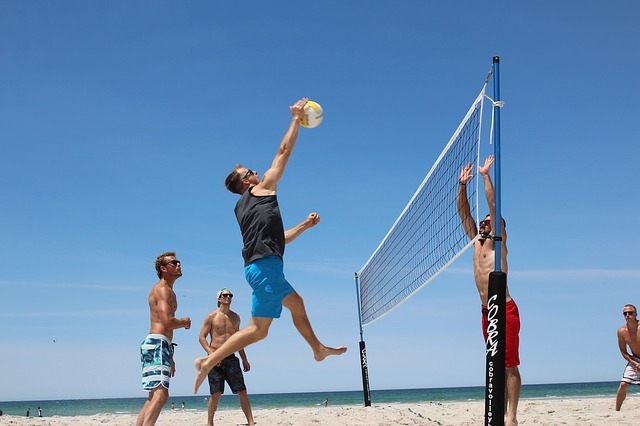 Why Is It So Important To Be Able To Jump High In Volleyball? The ability to jump high in volleyball is an asset for both attackers and defenders. Spending time learning how to jump higher for volleyball is a great investment into your volleyball future. 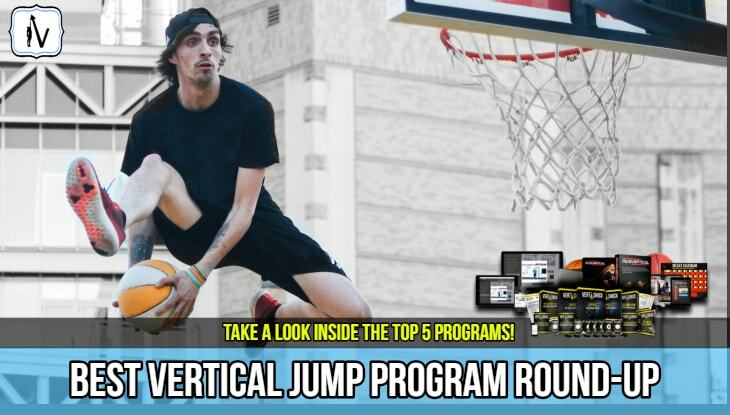 There are many great vertical jump programs available that can add anywhere from 6- 22 inches in a matter of months. If you improve your vertical jump height you will have a much better chance at landing the ball on the opposite side of the court successfully, and with much more force. There is no greater feeling then rising up above the net and sending down a vicious spike on the competition. Having a high vertical jump will make also make you a much more dominant force on the defensive end. Obviously the more body you can raise above the net the greater blocking surface area you provide. 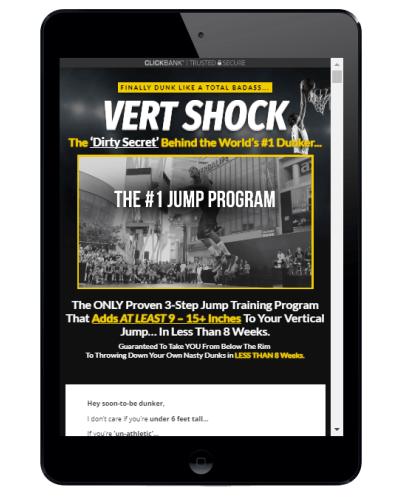 In this post I am going to cover the fundamentals of volleyball specific vertical jump training that can add significant inches to your jump height over a matter of weeks to months. 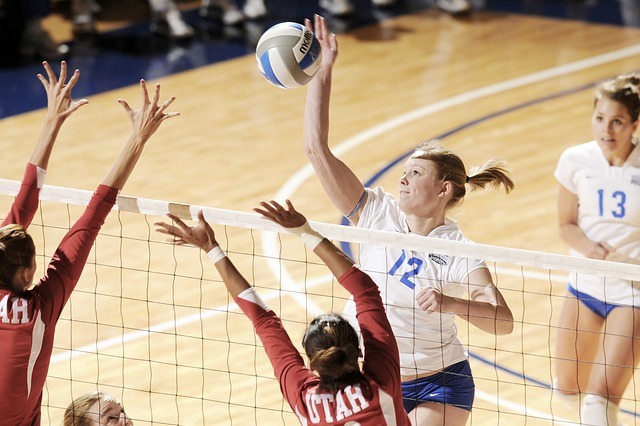 However there are a few things that you can do to start jumping higher in volleyball today. UNDERTAKE ACTIVATION & POTENTIATION EXERCISES THAT SEND THE NEURO-MUSCULAR SYSTEM INTO OVERDRIVE. UNDERTAKE EXERCISES THAT IMPROVE FLEXIBILITY & TENDON RE-ACTIVENESS. So you are probably wondering what constitutes a decent vertical jump for an amateur volleyball player. 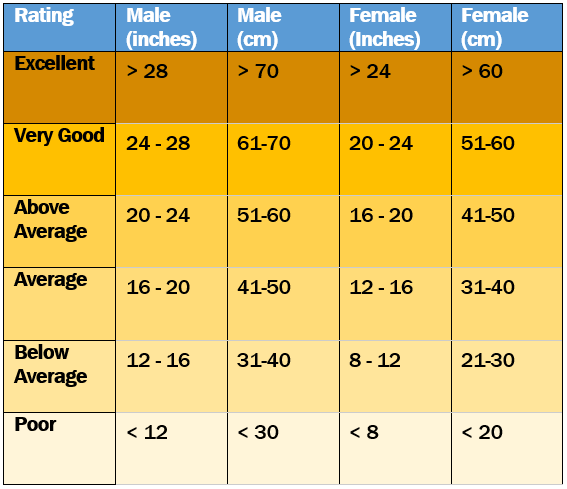 A good vertical jump for males is somewhere between 20 to 28 inches. A good vertical jump for women is somewhere between 16 to 24 inches. To determine which one of these 3 aspects you should focus on you must first test your current vertical jump. 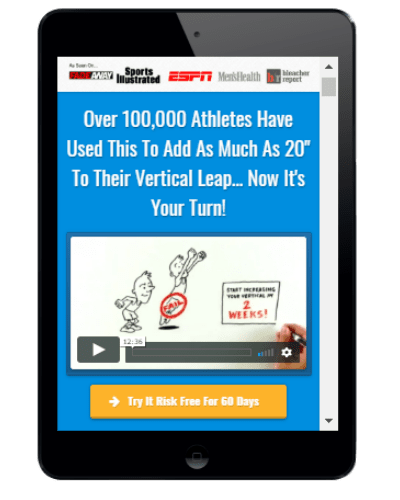 Before you embark on your journey of increasing your vertical jump it is always helpful to have a baseline measure of your current jump height. There are many ways that you can test your vertical jump height. The Counter-Movement Jump (Sargent Test) is the most commonly used vertical jump test. To do this test you stand with two feet about shoulder width apart, swing your arms and jump up reaching as high as you can. 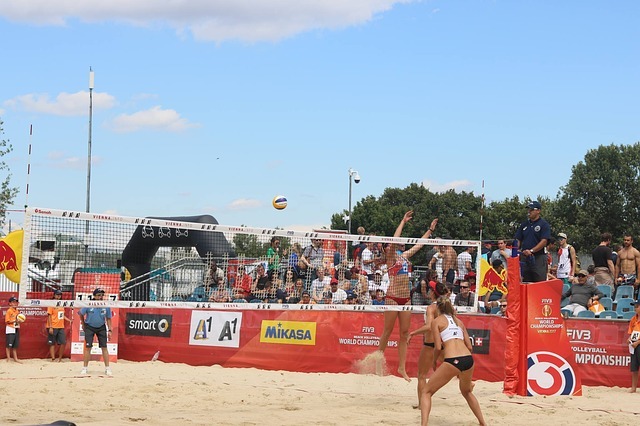 However, for volleyball players the Spike Jump or Approach Jump can be more valuable as it closely mimics the movements of the sport. It is great to test both methods to see whether you can jump higher off two feet or a single leg run up. Recommended For You >> See the best jump training equipment to measure your vert. Once you complete the two jump tests you can compare the results. Determine which method produced the higher vertical jump. Lets say if you measured 24 inches on a Counter-Movement Jump and then on the Approach Jump you reached 29 inches you can see that you are a much more efficient jumper off of a run-up. If you have a significantly lower standing jump then running you will need to work on developing strength in combination with carefully prescribed plyometrics. The Jump Manual is the best program for helping you achieve this. However if you standing jump is much higher than your running jump you will probably get greater benefits by following a strict body-weight only jump program like Vert Shock. Athletes such as this tend to have poor toleration of eccentric loading and the ability to absorb and transfer forces. 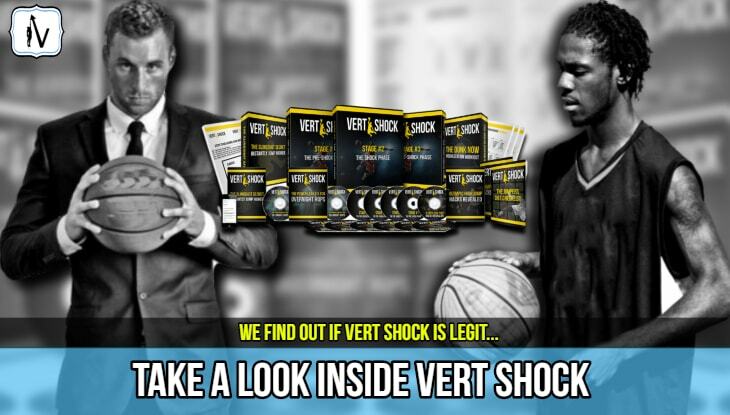 Programs like Vert Shock optimize the ability to transfer force vertically. ​Plyometric exercises specifically designed for vertical jump will help increase the reactivness and "springiness" within the muscles and tendons. This is otherwise known as shock training and is definitely something that all volleyball players who want to jump higher should be doing. For athletes that lack bounce, exercises such as depth drops and box jumps can get excellent results when prescribed properly. The prescription of effective plyometric training is quite an art and a science and I will go into more detail about this shortly. If you get the prescription and programming of plyometrics wrong and you will succumb to over use injuries. There are many exercises that can help you jump higher in volleyball. Regardless of what exercises you choose you MUST train with intensity and max effort. When I say intensity I don't mean huffing and puffing. Jump training should not be a cardio workout. You must train with max explosiveness to ensure your "jumping muscles" reach their full potential. Most of these exercises are included in the top jump programs we have reviewed. These programs are super helpful in ensuring that you are doing the correct frequency and load plus taking care of other important aspects of jump development such as nutrition and recovery. If you would like to jump higher for volleyball then you’ll definitely need to add resistance training to your weekly regime. Weight training builds strength. This strength can then be converted into power. Add plyometrics into the mix and you have the recipe for a very impressive vertical jump. This is the exact formula that the The Jump Manual incorporates, hence why it is the all-time leading vertical jump program. Box jumps, depth jumps and shock jumps help to increase whats known as the stretch shortening cycle and help produce maximum force output in minimal time. Training with these awesome vertical jump exercises optimizes the elastic properties of the muscles and tendons, particularly the Achilles tendon. Do these correctly and you will get BOUNCE! Beginners may want to start off with shock jumps which requires one to drop off of a box and simply get better at absorbing forces through the musculo-tendinous structures. Once you feel as though you can handle the impact you can add depth jumps which require you to perform the depth jump movement but spring back up as high and as fast as you can on landing. The goal here is to minimize the time spent on the ground (otherwise known as the amortization phase). The popular jump program Vert Shock has proven to get great results by using these methods. Although it is more designed for people who want to learn how to dunk a basketball many volleyball players are finding it super helpful. Always make sure you warm up properly to ensure you minimize the risk of injury and maximize vertical jump height. There are a range of special stretching exercises that can help increase your jump height. One of our favorites is the hip flexor stretch. Loosening the hip flexors can add instant inches to your jump. After finishing ​your jump training or volleyball sessions always take the time to cool down and static stretch. Maintaining or gaining mobility and flexibility is an important part of jumping higher. Always train with intensity and consistency. Unless you train with 100% max effort you will never reach your full jump potential. Make sure you adhere to your jump program. 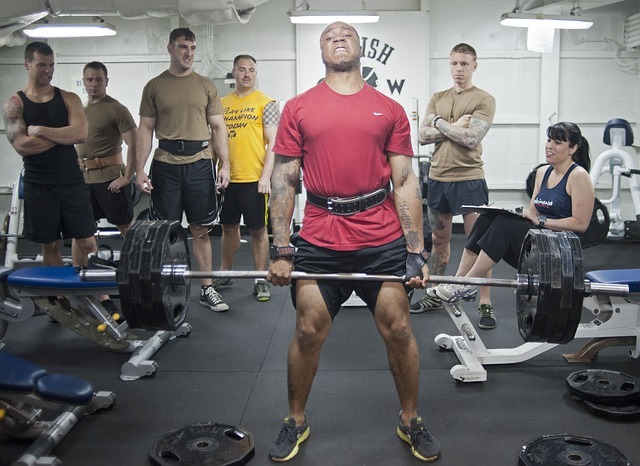 You will have bad days where you don't feel as jumpy or feel like lifting heavy weight. Keep you eye on the prize and stay motivated. Measure your vertical jump height regularly. When trying to increase your jump for volleyball it’s always good to test to make sure you are making progress. You don't need expensive vertical jump testing equipment, just a piece of chalk and a wall will suffice. Measure at least every 3 weeks. People who track their progress tend to report better long term adherence to their jump training. Don't neglect the importance that nutrition can play on your jump height. By getting as lean as possible, while maintaining strength you will boost your weight to power ratio. If you are overweight losing a few pounds can be one of the best ways to add extra inches. Thank you for taking the time to learn how to jump higher for volleyball. If you follow these steps and train hard and consistently you will jump higher. Remember why you want to jump higher... Focus on how great it will feel when you dominate the competition on the court or sand with your crazy vert.